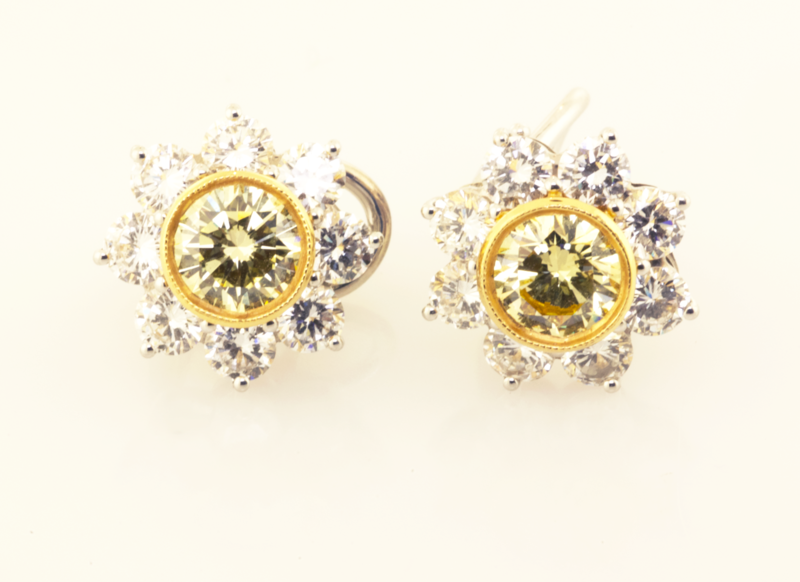 Natural Fancy Yellow Diamond Starburst Earrings, each set with one Natural Fancy Yellow .75ct. diamond for a total Natural Fancy Yellow Diamond weight of 1.50cts. 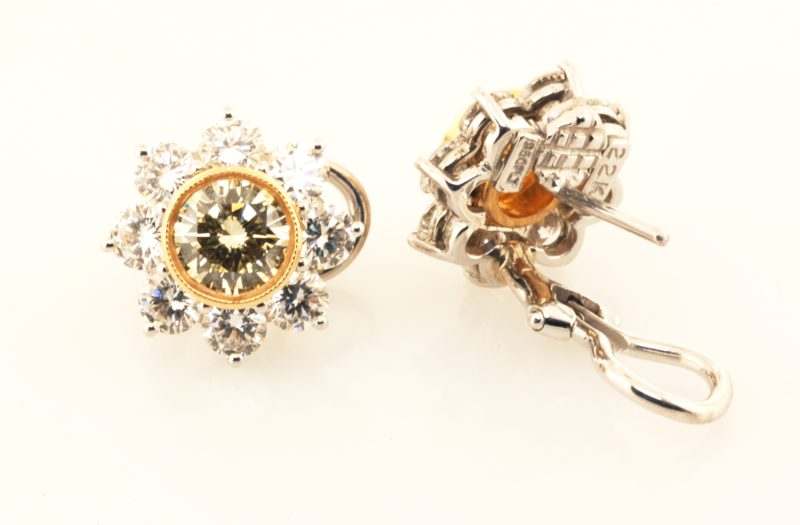 Each yellow diamond is set in 18KT yellow gold and surrounded with white round brilliant diamonds that have a total wieght of 2.10cts. and the white diamonds are set in platinum.